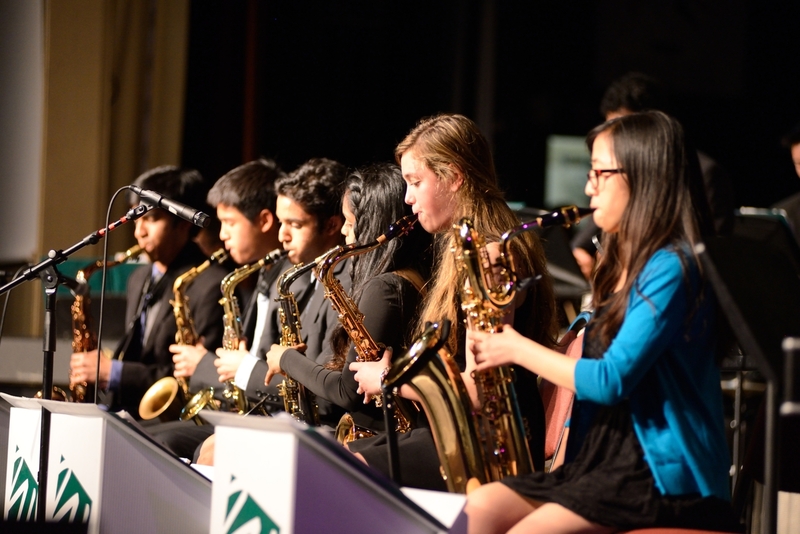 An enthusiastic audience experienced “An Evening of Jazz” in late March, as lower, middle and upper school student musicians took to the stage at the Blackford Theater. Louis Hoffman directed the Lower School Jazz Ensemble, which kicked things off with selections from Red Garland, Eddie Harris, Cedar Walton and Nat Adderley. The Middle School Jazz Band then joined in for “Killer Joe” by Benny Golson, which segued nicely into the group’s own set, which consisted of “Won’t You Come Home, Bill Bailey” by Hughie Cannon and “Caravan” by Juan Tizol, both arranged by the band, which was directed by Dave Hart.